A month after he delayed a planned trip to Israel, Vice President Mike Pence will visit the Jewish state and deliver the first address by a senior US official at the Israeli Knesset in a decade. Pence, a noted supporter of Israel, was originally scheduled to visit Israel on December 18th, as part of a Middle East trip including stops in Egypt and Jordan. The Vice President’s visit was to include an address at the Knesset during the Hanukkah festival – the first at Israel’s legislature since then-President George W. Bush’s 2008 address, marking the 60th anniversary of the founding of the State of Israel. Pence was scheduled to meet with both Israeli and Palestinian Authority officials, including PA chief Mahmoud Abbas. After President Donald Trump’s historic December 6th declaration recognizing Jerusalem as Israel’s capital, however, PA officials warned that Pence would be “unwelcome”, and that Abbas would refuse to meet with the US Vice President. Israeli-Arab Knesset Members also pledged to boycott Pence’s Knesset address over American recognition of Jerusalem. Pence later delayed his trip to the Mideast, citing the December 20th vote on a massive Republican tax reform bill, stating that he would have to remain in Washington in case his tie-breaking vote would be needed. While no new date was given for the trip, the Vice President’s office insisted he would be visiting Israel in the near future. "As we said, we are going later this month," said Pence’s deputy chief of staff, Jarrod Agen. 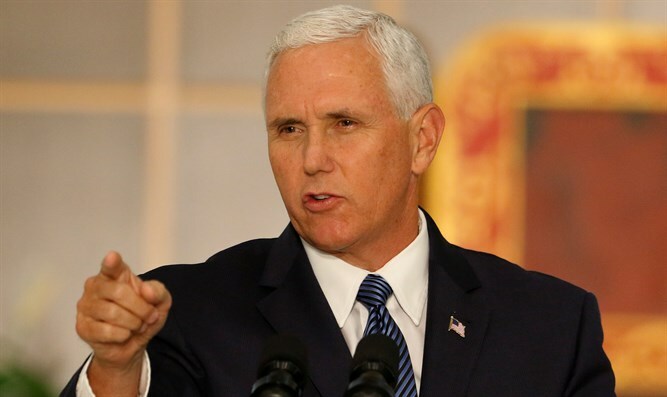 On Monday, a US official stated that Pence would be heading to the region on January 20th, beginning with a trip to Egypt to meet with President Abdel Fattah al-Sisi, AFP reported. On the 21st, Pence will travel to Jordan for meetings with the Hashemite kingdom’s King Abdullah. Pence will visit Israel from January 22nd to the 23rd, and is slated to meet with Prime Minister Binyamin Netanyahu, and Israeli President Reuven Rivlin. The Vice President is also scheduled to address the Knesset during the two-day visit.